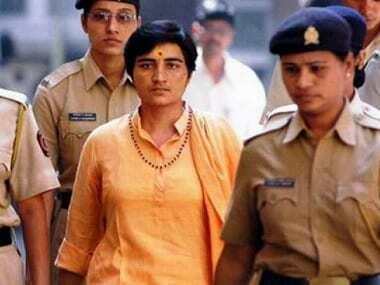 A special NIA court — that ordered on Thursday that Sadhvi Pragya Thakur, Lt Col Prasad Purohit and 10 other accused in the 2008 Malegaon bomb blasts case will stand trial on terror charges — has said that a conclusion cannot be drawn that Purohit had attended the alleged conspiracy meetings related to the blast in the discharge of his duty as a military intelligence officer. 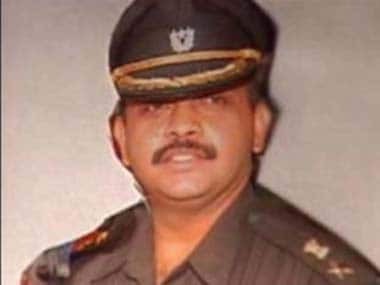 According to The Indian Express, Purohit had relied on documents from the Court of Inquiry, conducted by the army, to "exonerate" himself from the case. He had claimed that the meetings were aimed at generating counter-intelligence as part of his job. The special NIA court, however, in its detailed order, said that the incriminating circumstances against Purohit are "not only about his presence in the meetings but also the manner in which he participated and the actual discussion and utterances made by him," according to an India Today report. The court noted that in all the meetings held, "prima facie, it appears that Purohit was acting as a leader and chairperson of the meeting and also his superiors in the army did not have any knowledge of this". The court had on Wednesday dropped the stringent Maharashtra Control of Organised Crime Act (MCOCA) charges against the accused. Special Judge SD Tekale, in the 130-page order, said that there was insufficient material to charge the accused under MCOCA. The court said that while the accused would not be charged under MCOCA, they would still face trial under sections 16 (committing/organising a terror act) and 18 (criminal conspiracy) of the Unlawful Activities Prevention Act and sections 120 (b) (criminal conspiracy), 302 (murder), 307 (attempt to murder), 326 (causing grievous hurt to others) of Indian Penal Code and under the Explosive Substances Act. Of the 13 accused named by the prosecution, two are still absconding. The court discharged three accused — Shyam Sahu, Shivnarayan Kalsangra and Pravin Takkalki – from all the charges levelled against them, and said it was accepting the NIA's decision to "absolve them" from the case due to insufficient evidence against them. The court said two accused Rakesh Dhawde and Jagdish Mhatre shall be tried only under the Arms Act before courts in Pune and Thane. "At this prima facie stage, a safe conclusion can be drawn from the statement of witness number 184 that in the Bhopal meeting (where the alleged conspiracy was hatched) Purohit, Pragya, Ramesh Upadhyay, Sameer Kulkarni, and Sudhakar Chaturvedi were present." "There was discussion about growing Jihadi activities in Aurangabad and Malegaon and Purohit expressed his opinion to do something for its prevention by expanding Abhinav Bharat Sanghatna in the said area," the court said. The court said it was accepting the NIA counsel's submission that the accused persons had made conspiracy to establish a 'Hindu Rashtra' and the conspiracy to cause bomb blast was one step towards the objective of the accused. The court used strong words in holding that the prime accused must remain to be charged under sections 16, and 18 of the UAPA for conspiring for and committing a terrorist activity. "The blast took place near a mosque during the holy month of Ramzan. If the place and the timing of the blast is considered at this prima facie stage in the background of available evidence in the form of transcripts (from the conspiracy meetings), witness statements etc, it has to be said that the bomb blast was caused with the intention of threatening the unity of the public by targeting a particular community," it said. "The intention to take revenge against an individual is one thing, but the intention to take revenge against people belonging to a particular religion is another. The latter shows the intention to strike terror among people, or among a certain section of people," it said. The court observed that while his predecessor had discharged all the accused from MCOCA charges in the past, the high court, while hearing an appeal by Maharashtra government, had ordered for MCOCA charges to be reapplied. "The high court ruling was upheld by the Supreme Court. However, the apex court in its order observed that except accused number seven (Dhawde) there is no material to show that the remaining accused persons had nexus with co-accused or with the crime pertaining to the Jalna and Parbhani cases," the court said. "The apex court had said it would not like to get into the issue of applicability of MCOCA at that stage since NIA investigation was still on. However, now NIA has completed its probe and has come to the conclusion that the charges of MCOCA cannot be applied against the accused in this case," it said. The court noted that Dhawde was shown as an accused in the Jalna and Parbhani blast cases only after his arrest in the Malegaon blast case. During 2003-04, when the Jalna and Parbhani blasts took place, there is no record or material to show that Bharat was in existence or that Dhawde was even in touch with the other accused in the Malegaon blast case, it said. "In such circumstances, it cannot be said that the accused persons including Dhawde committed the act in Parbhani and Jalna case as a member or on behalf of a crime syndicate that is Bharat," the court said. "In view of all this, I hold that all accused persons are entitled to be discharged from the offences under MCOCA as there is no sufficient ground to proceed against them under the said Act," the court said. 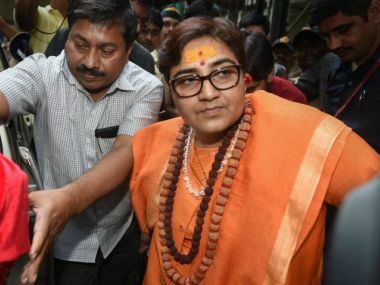 The court dismissed NIA's and Sadhvi's claims that the latter had sold her motorbike that was later used to plant the explosive device for the blast. 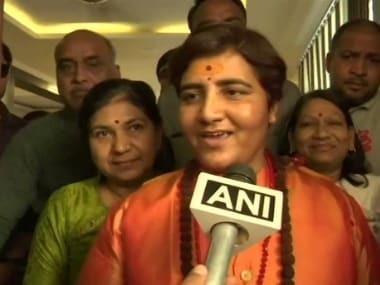 The court said Thakur was still shown as the registered owner of the bike and thus, despite her claims that she had sold it to someone else long before the incident, it was for the Sadhvi to prove that she had no knowledge of where the bike was.